This deeply revitalizing treatment uses aromatherapy and some deep tissue massage to unwind the body, re-boot the mind and transform stress into balance. This massage utilizes a Lavender Blossom Oil, Aromatic alchemy Blends, Sea Fennel Wax and a Mighty Mint Rescue Cream. Created especially for athletes and for tension relief, this intensive treatment is designed to relax sore muscles, tendons and stiff joints by enhancing deep tissue massage with Trigger Point Therapy, Myofascial Release, and utilizing the best ingredients of nature's pharmacy for muscle recovery. This massage incorporates an Alpine Arnica oil, Arnica Muscle and Joint Gel, Sweet birch Deep Muscle Rub, and a Mighty Mint Rescue Cream. This holistic treatment combats adrenal fatigue caused by our modern 24/7 lifestyles. The session begins with a steaming Blue Eucalyptus inhalation to enhance immunity and is followed by a vigorous deep tissue massage with ginger root oil to re-balance the adrenal system. This deeply restorative treatment is designed for moms-to-be to help improve sleep, reduce stress and soothe muscle fatigue. Beginning with a Swedish massage, then followed by the application of Gotu Kola Healing Balm to help prevent the appearance of stretch marks, this treatment ends with a mini-facial to address sensitive hormone-reactive skin. Very slow and precise manual techniques focused primarily from the chest up to allow more movement in the joints, thus resulting in much less strain on the musculature of the head, neck and shoulders. Utilizing the best of nature's pharmacy - Arnica, Sweet Birch and Magnesium - this intensive enhancement is designed to help soothe sore muscles, tendons and stiff joints. This energizing enhancement combines a detailed hand and arm massage with a therapeutic multi-purpose cream. Extracts of Peppermint and Horse Chestnut improve circulation, while steaming towels steeped in aromatic essential oils relieve hand and wrist tension to help address carpal tunnel syndrome and computer fatigue. ​WHAT IS CUPPING THERAPY USED FOR? 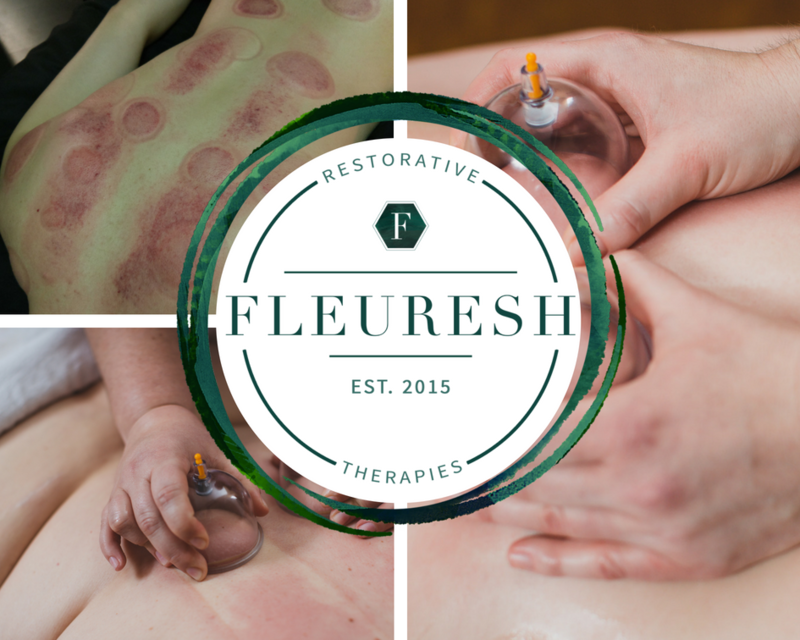 ​Cupping therapy is an ancient form of alternative medicine in which a therapist puts special cups on your skin for a few minutes to create suction. People get it for many purposes, including helping with pain, inflammation, blood flow, relaxation and well-being, and as a type of deep-tissue massage. HOW LONG DO CUPPING MARKS LAST? ​​The coloring typically ranges from bright red to a darker purple, and can last from 3 days to a week. A darker coloring means that there is a high level of toxins and stagnation in the section of the body that has been treated. In this case, the marks can last for up to 3 weeks. WHAT AREAS CAN BE CUPPED?